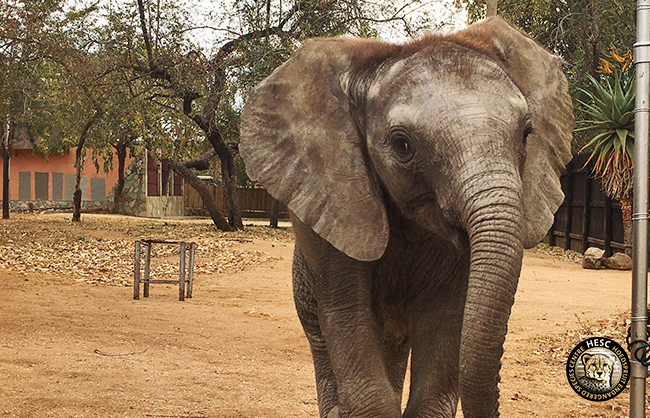 Little Shawu is doing great and continues to thrive in our care. Here’s an update of what he’s been getting up to over the last month. 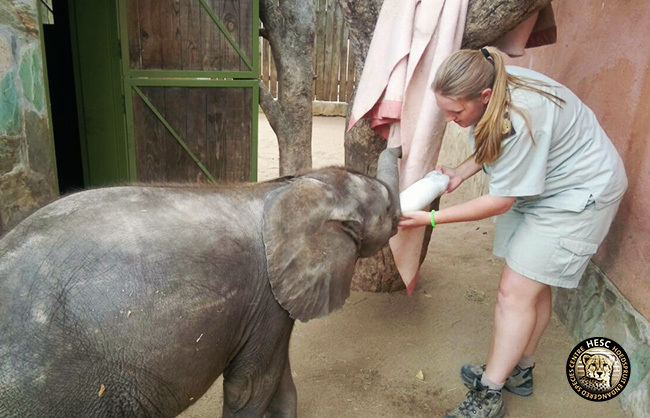 To ensure that Shawu keeps active, he goes for daily walks twice a day – in the mornings after his 6am bottle feed and around 4pm when it’s cooler. 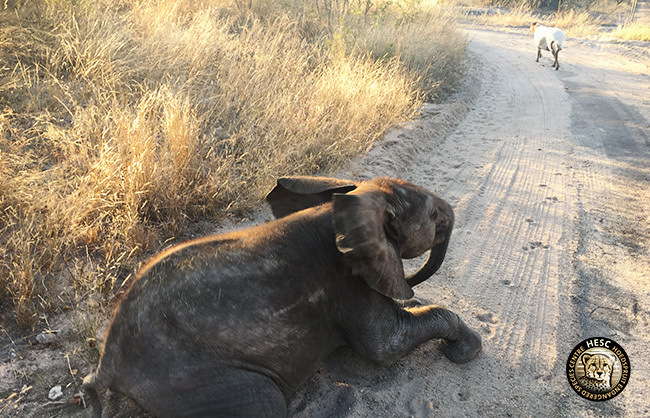 Lammie usually accompanies Shawu and his keeper, but sometimes he does take a break and stays behind. To stumble and fall is par for the course for young ones… and Shawu is no exception. His legs are not as quick as he sometimes think they are, and so he stumbles and falls flat on his belly. But, it only takes him a second or two to get up again and then he goes full out again to catch up with Lammie. Shawu got this crocheted blanket from Blankets for Baby Rhinos and he does not want to leave it behind. He plays with it continuously – throwing it over his body and face, and falling on it when he goes to bed. We just love him. He has a wonderful, playful demeanour and is always ready for attention and love. 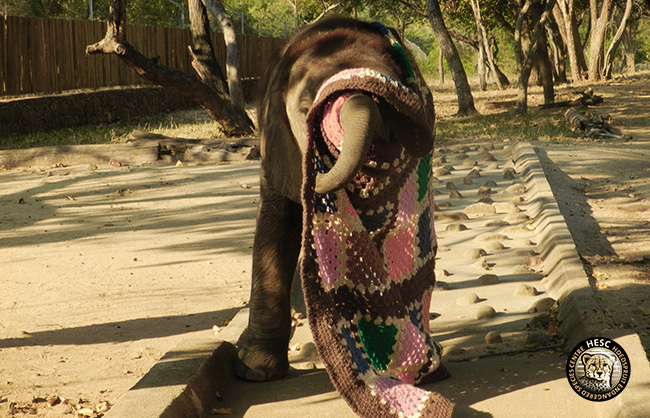 All these activities with the blanket are such good exercise for his trunk as young elephants do not have good control over their trunk movements. Feeding time for our little Shawu. When this picture was taken his milk intake had been adjusted to 2 litres, 7 times a day; and he weighed a hefty 216 kg. 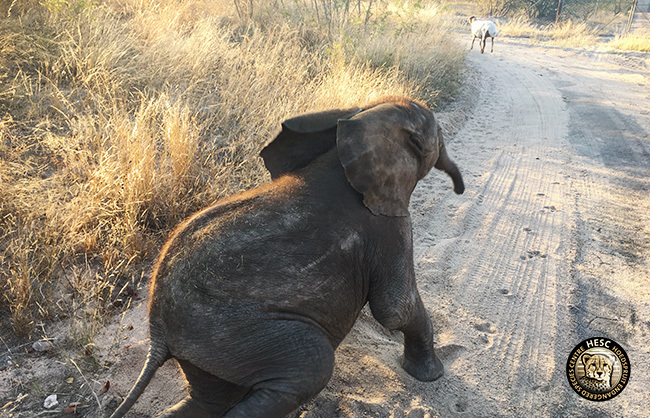 Shawu is always eager to go for his walks after his early morning feed. Seen here he was patiently waiting for his keeper and sheep companion, Lammie. 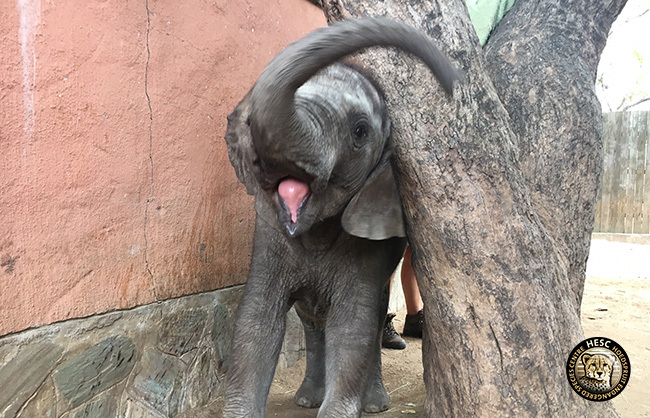 Just like all elephants, our little Shawu loves water. 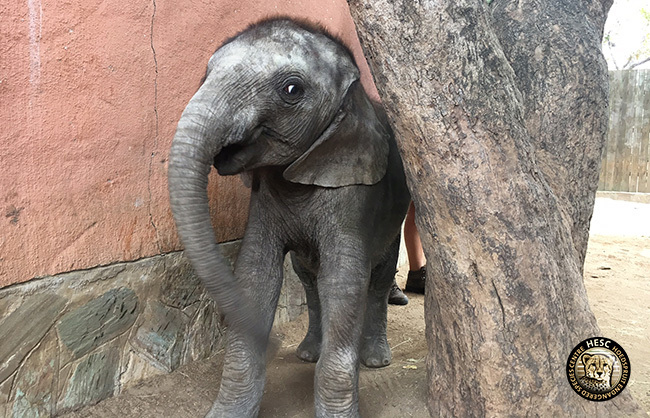 When the curators were recently cleaning up the animal areas and filling up water troughs, our sweet Shawu decided to ‘help’ but ended up playing with the water hose. They quickly retrieved the hose from him though, as water is a precious commodity and we wouldn’t want to let any go to waste. 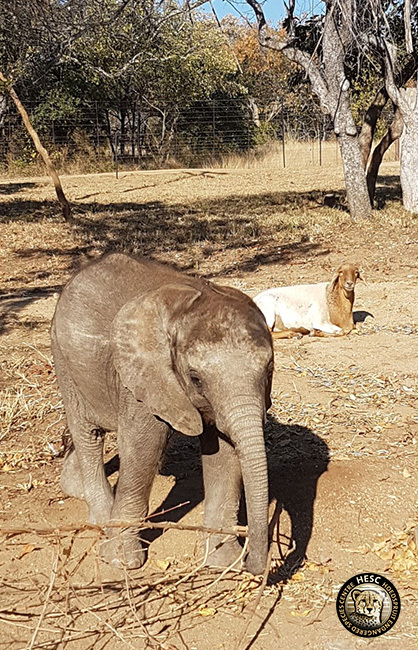 Shawu playing with some twigs as Lammie keeps a watchful eye while soaking in the winter sun. These two have become inseparable. Shawu in playful mode… Adine had to eventually hid from him after a game of ‘hide-and-seek’ so he could take his milk.